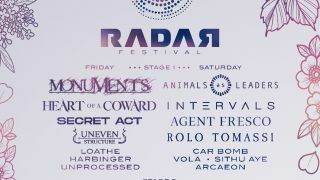 Radar Festival, the new UK progressive music festival headlined by Monuments and Animals As Leaders, has announced day splits for the two-day event. The festival takes place at Guildford's Corner House venue (on the site of the old Guildford Casino), and concentrates on the younger more contemporary progressive and math rocks acts. Alongside the headliners many bands that have featured in the pages of Prog Magazine over recent years will be appearing, such as Sumer, Agent Fresco, VOLA, Uneven Structure, Shattered Skies, Toska, Valis Ablaze and more. Tickets for the indoor event start at £34.99 for a day ticket, or £59.99 for both days. Tickets can be purchased here.